Where was this meat grown, mommy? 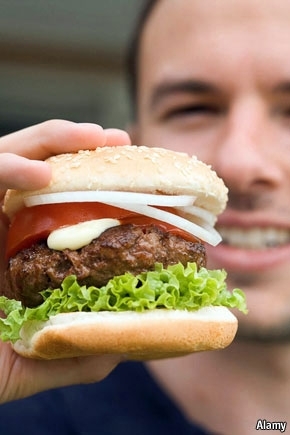 A QUARTER of a million euros is rather a lot to pay for a hamburger, but that will be the cost of the patty which Mark Post proposes to stick in a bun this October. The burger in question—not so much a quarter-pounder as a quarter-million-pounder—will be so expensive because it will be made from meat that has been grown from scratch in a laboratory. Dr Post, who works at Eindhoven University in the Netherlands, belongs to a group of people who hope to disrupt one of mankind’s oldest industries—animal husbandry. In fact, they wish not so much to disrupt it as to destroy it.